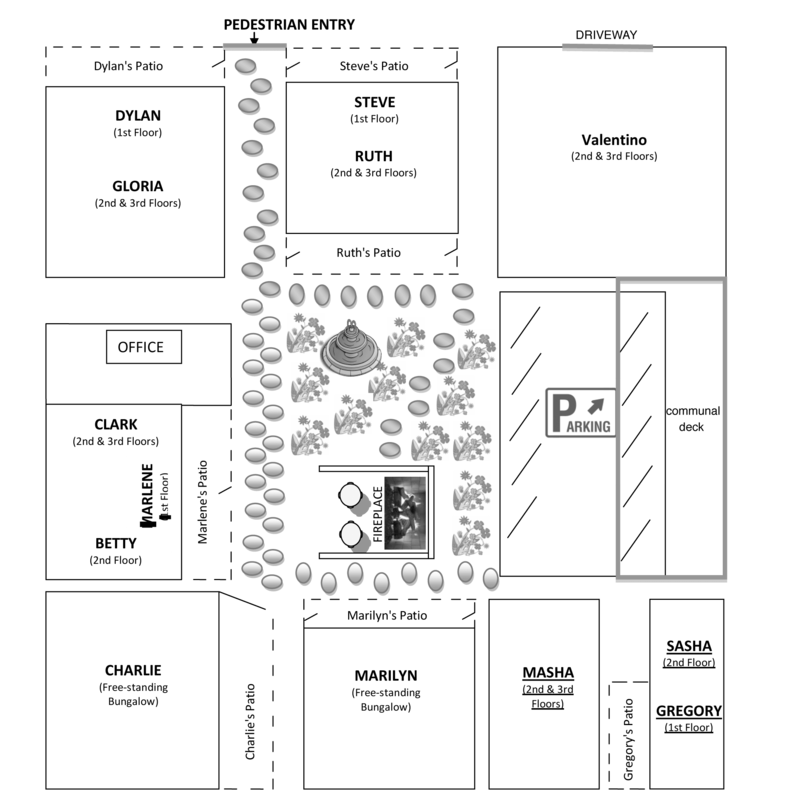 Both suites are located on the ground level. 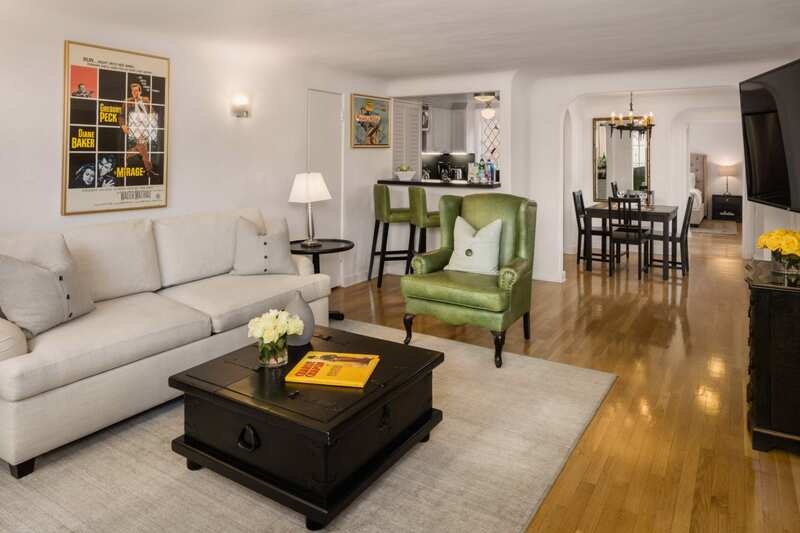 The Gregory and Marlene are elegant spacious one bedroom one and a half baths suites located towards the back of the property making them very private. Both suites have large private patios to enjoys a morning breakfast or to just relax in the afternoon sun. 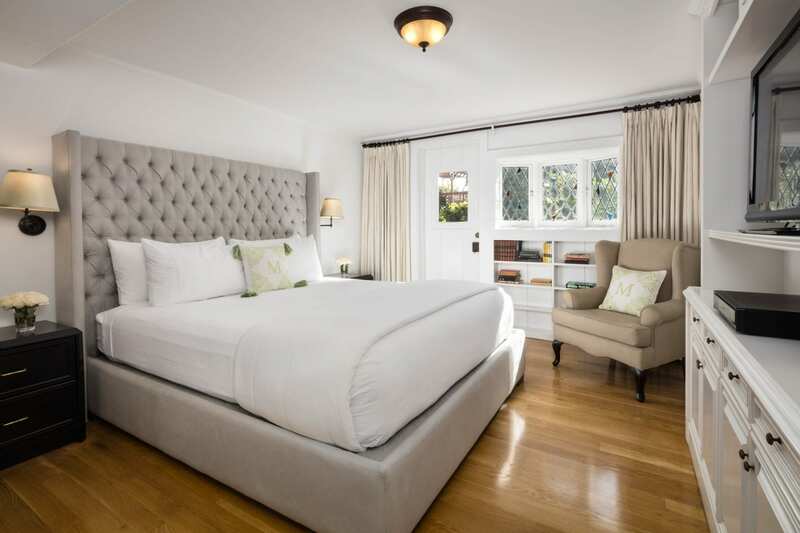 The Gregory and Marlenes' California King beds are made up with luxury comforters and oversized down pillows. Nothing is more important to the Charlie team than the comfort of your sleep. The queen memory foam pull out couch provides the joy of extra sleeping accommodations. The airy ground floor suites provide many built in attributes such as a walk in living room with pull out couch, office area, powder room and dining table to make you feel right at home.